See UC San Diego's Spill Prevention, Control, and Countermeasure Plan. Spills of any type of oil may damage the environment. UC San Diego has a Spill Prevention, Control, and Countermeasure Plan (SPCC, PDF) to prevent or reduce the discharge of oil into navigable waters. The campus SPCC plan identifies management measures that must be implemented wherever oil and oil-based products are used or stored to prevent spills and promptly respond to accidental releases. A complete list of the types of oils and oil-based products that are covered by the plan, employee responsibilities, control measures, spill response procedures, and inspection and training requirements are provided below. Ensure employees receive SPCC Plan training; mentor new employees. Learn your system (layout, valves, shutoffs, etc.). Know and follow operational procedures for your facility. 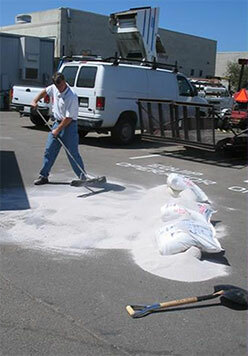 Maintain equipment to prevent leaks and spills. Make sure others follow appropriate delivery and handling procedures. 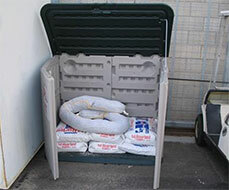 Provide secondary containment for containers of oil that could potentially spill into the environment. 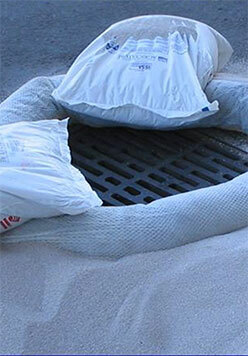 Absorbent booms, pads, mats, etc. 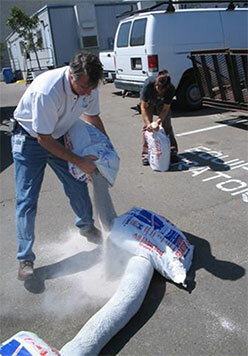 Note: Replenishment materials and additional equipment are available through EH&S Environmental Affairs. 3. Develop and prepare countermeasures to contain, clean up, and mitigate the effects of an oil spill. 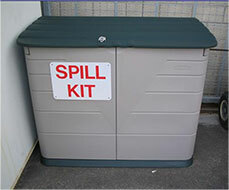 Keep spill response procedures and a well-stocked cache of supplies easily accessible. 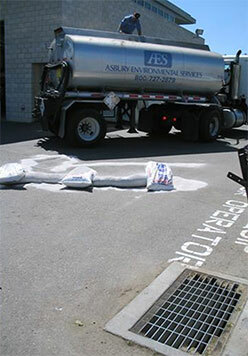 See the "Spill response procedures" section below. 4. Post-spill response procedures and equipment locations. Be prepared to contain, clean up, and mitigate the effects of an oil spill. Safety first! Do not attempt to perform any life or health threatening acts. 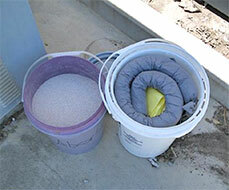 Use spill kit materials to block flow and prevent discharge into a storm drain. Notify EH&S immediately: (858) 534-3660 during business hours. After hours, call UCSD Police: (858) 534-4357. Build a dike between spill source and drain. Visually inspect oil tanks and containers, systems and equipment, and spill kits on a regular basis. Document inspections with the Petroleum Container Inspection Checklist (PDF) (Word file) or an equivalent form. Keep inspection records for at least 3 years. System layout, valves, shutoffs, etc. "Environmental Compliance & Hazards" training is required annually* for non-research employees who work with hazardous materials. This is an eCourse. Complete the Annual Shop & Studio Environmental Compliance & Hazards Training (login required) eCourse on UC Learning Center. Repeat the eCourse to meet the annual refresher training requirement. * Expiration dates: San Diego County regulations require training annually – not 12 months from date of completion. Your annual training can be completed anytime this year, regardless of last years expiration date.